We tried everything from yummy egg crepe (dan bing) to squid noodle soup, oyster noodle (mee sua) to Taiwanese beef noodle soup. There are several halal beef noodle restaurants in the Ximending district. Prices averaged between USD2-4 per bowl and mercifully, Taiwanese food is mostly healthy and free from food additives. Post-binge guilt will not hunt you down! Popular markets include Raohe and Shilin Night Market in Taipei, and Dongdamen Night Market in Hualien. 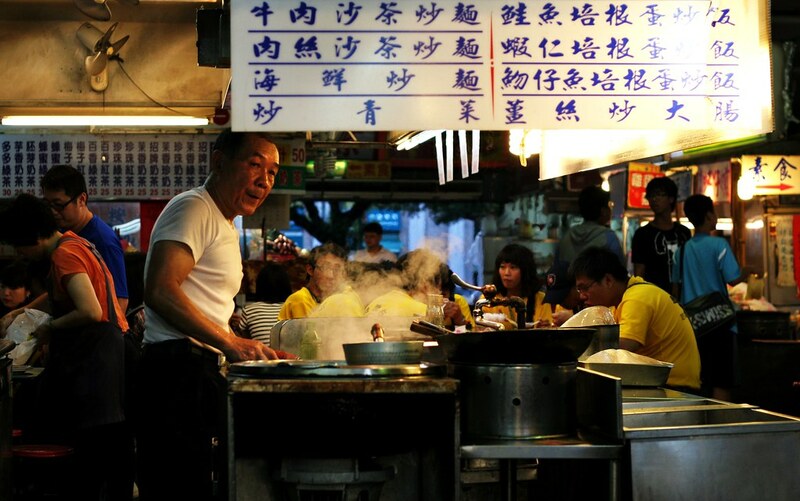 We are amazed at how relatively clean their night markets are, and at the exciting array of goods sold – from big fat rolls of beef, pork and even wild boar sausages to Taiwanese nougat and the notorious ‘smelly tofu’. Consider giving it a try, simply because a) you’re in Taiwan and b) there’s a first time for everything! Hualien is roughly a two-hour train ride from Taipei (a one-way ticket cost approximately USD16), making it an ideal side trip. The laidback pace and lifestyle will remind you of Malaysian towns like Ipoh or Kuantan, and you will enjoy discovering their local delicacies such as handmade mochi, buns and tarts. You might want to sign up for a tour to the well-known Taroko National Park that overlooks the majestic Pacific Ocean as well as Qixingtan Beach. The beach is opposite an army base so you can sneak a look, but do not take photos as it is forbidden. Known as the Santorini of Asia, this place is certainly memorable. A narrow uphill path is flanked by stalls selling snacks, souvenirs and clothes, so there are many excuses to stop and catch your breath. 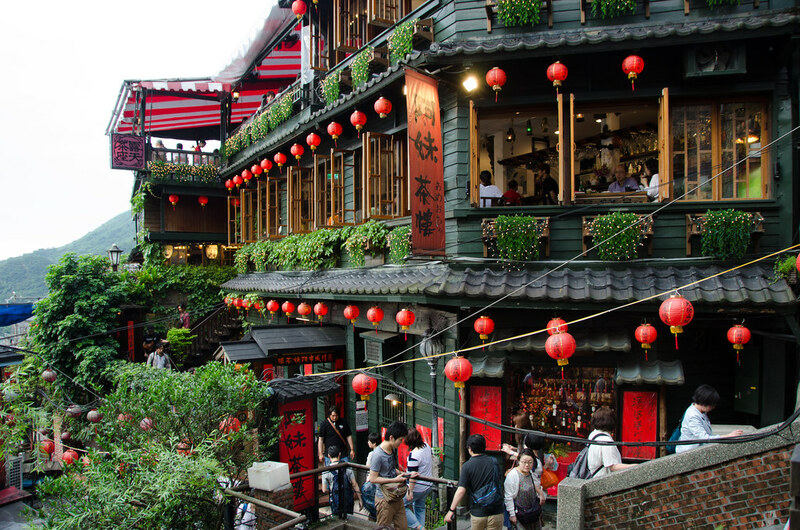 Make sure your camera or phone battery is fully charged before heading there; Jiufen is blessed with breath-taking landscapes and interesting cultural scenes that provide many photo opportunities. Taipei’s efficient MRT system makes getting around a breeze. Its tallest building, the Taipei 101, is just a few stops away Ximending, the shopping and lifestyle hub of Taipei. Key attractions like the Chiang Kai Shek Memorial Hall and Elephant Mountain are also accessible via the MRT. The locals are helpful, polite and hospitable citizens who will readily provide assistance if you ask. We also observed how civilised and disciplined the people are, and how much pride they take in their culture. Their punctuality and emphasis on cleanliness are also values worth emulating. At tourist attractions and popular areas, you won’t have much trouble getting by with English. But of course, learning a few basic Chinese words can help enrich your experience. Overall, Taiwan is a gem of a country, one that is filled with exciting delicacies and magnificent sites sure to deliver a memorable holiday. Read the original article by Amani Yasmeen on Zafigo. Image credits: Main, 1, 2, 4, 6. 3, 5 by the author.